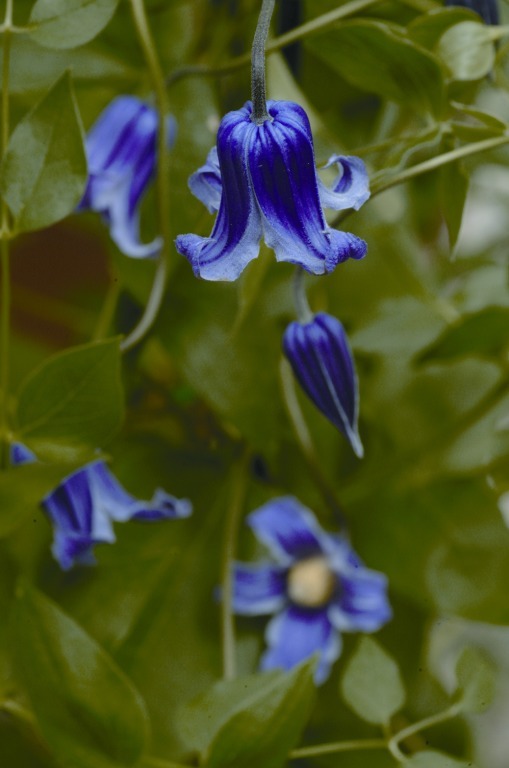 Wedgewood blue 5″ diameter flowers with contrasting greenish yellow anthers. 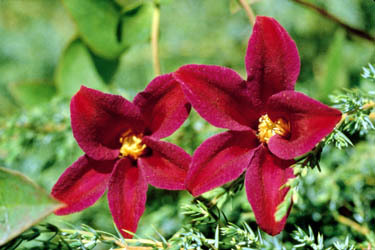 Raised by Jackmans in the early 1900s. 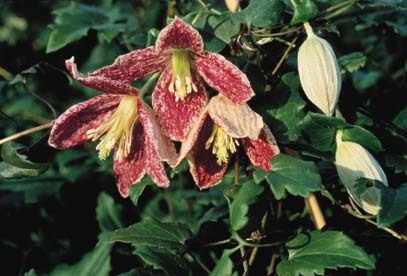 A very good plant, free flowering over a long period. 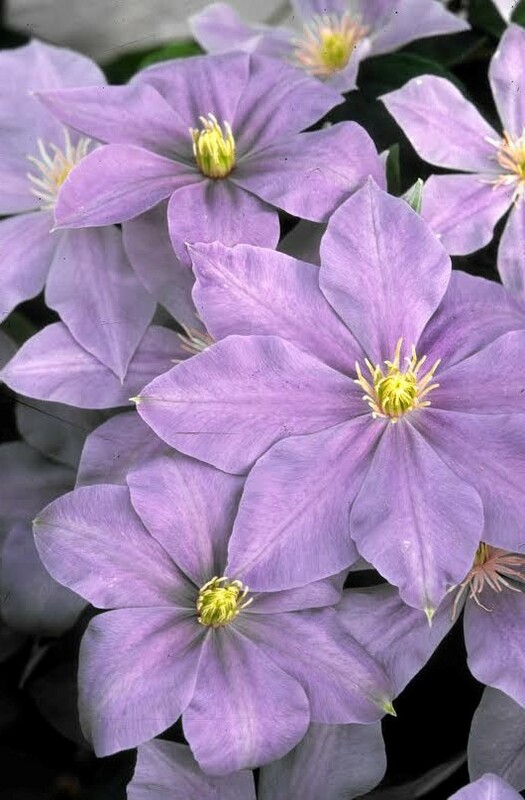 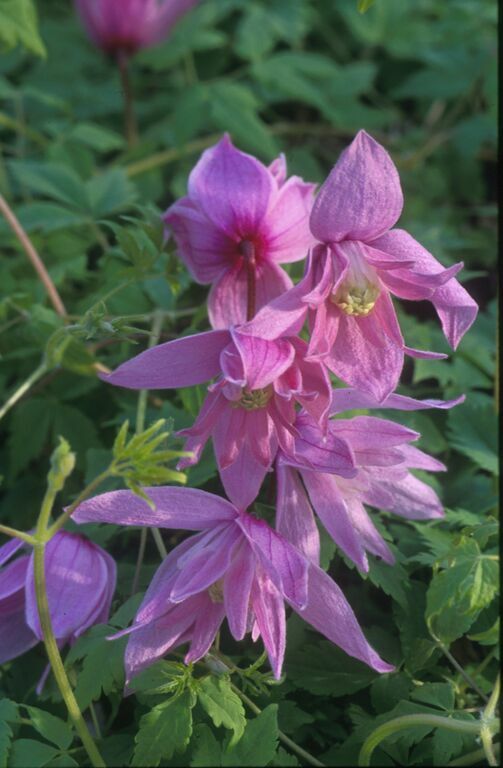 This compact clematis grows to a height of 6-7′ and blooms June through August.